The Ministry for Foreign Affairs is making changes to Finland’s network of diplomatic missions as part of the central government’s savings. The changes arise from decisions to cut the Ministry’s appropriations for operating expenses. The embassies of Finland in Luxembourg, Bratislava (Slovakia) and Ljubljana (Slovenia) will be closed by the end of 2015. After the closing of the embassies, Finland will adopt new arrangements to manage bilateral relations and advocacy in these countries. Finland’s relations with Luxembourg will be managed from the Embassy of Finland in Brussels, Belgium. Diplomatic contacts with Slovakia will be maintained from the Embassy of Finland in Prague, the Czech Republic. Finland will manage its relations with Slovenia from the embassy operating in Zagreb, Croatia. 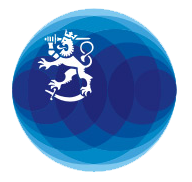 At the same time, Finland’s network of diplomatic missions is updated for operational reasons. The operating potential of the temporary liaison office in Beirut, Lebanon is strengthened and the office is changed to an embassy. The embassy in Pristina, Kosovo, which has been led by an interim chargé d’affaires since 2009, will be raised to the ambassador level in 2015. In recent years, the Ministry for Foreign Affairs has implemented many administrative arrangements to achieve savings and to improve the efficiency of operations both in the Ministry and at diplomatic missions abroad. This work will continue. However, within the framework of the required savings, the Ministry for Foreign Affairs strives to ensure Finland’s presence in countries whose political or economic importance is rising. Following the implementation of these changes, Finland will have 89 diplomatic missions abroad. It was agreed in the Government’s budget negotiations that the appropriations for the Ministry’s operating expenses will be dimensioned so that there will be no additional need to reduce the network of diplomatic missions after this.